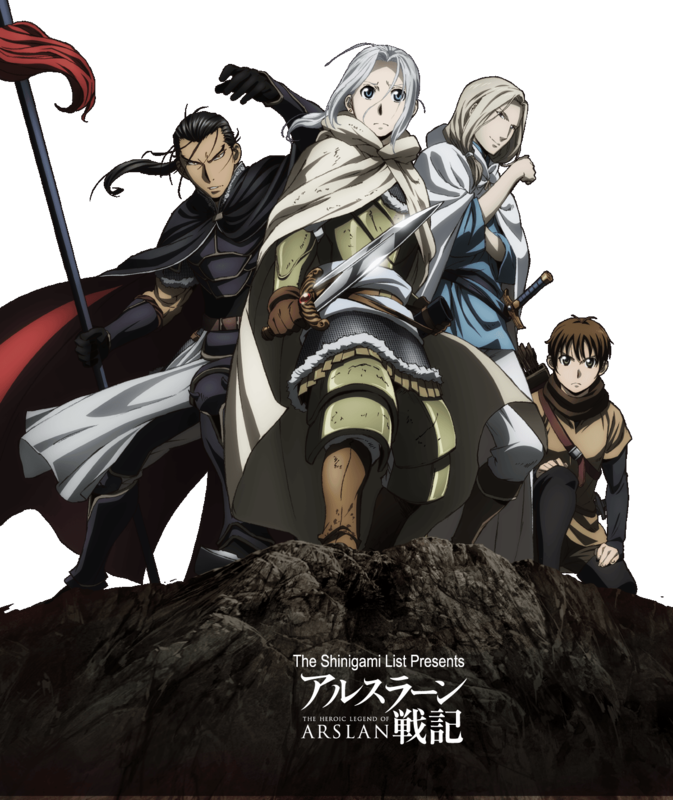 Arslan Senki (アルスラーン戦記), or The Heroic Legend of Arslan, is a Spring Anime Season 2015 project by animation studios LIDEN FILMS and SANZIGEN, with the production by Graphica and NBCUniversal Ent. Japan. The original story is the original novel by Yoshiki Tanaka. The books are illustrated by Yoshitaka Amano and began serialisation in 1986, still ongoing. The books focus on the really heroic legendary adventures of Arslan, the 14-year-old Prince of Palse, and his fight to take back what was owed to him, by fighting and deserving it. 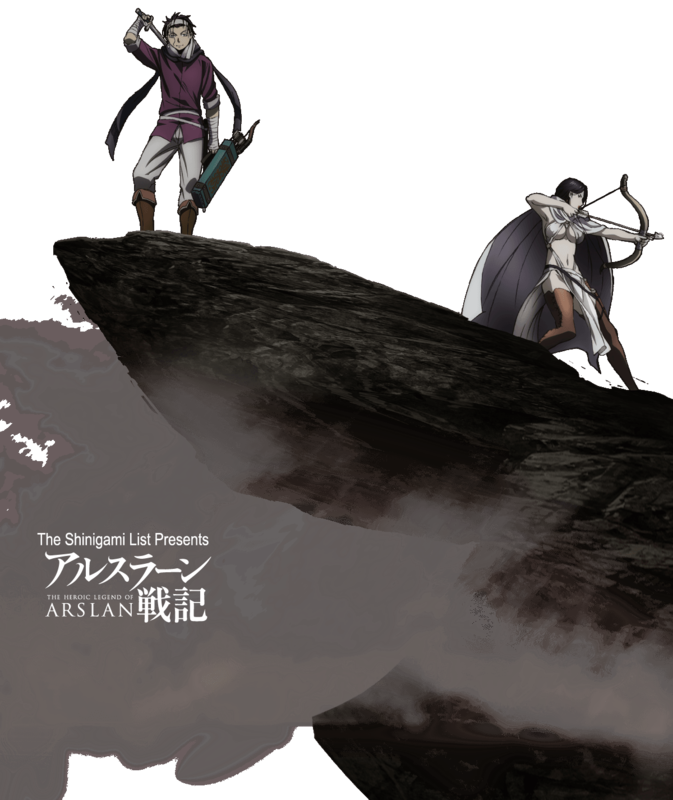 Welcome, to the Arslen Senki anime series, beginning this 4th April (1015). Everything begins with the legacy of Arslan’s father – the undefeated, ever-glorious King of Palse – King Andragoras. When the young Prince Arslan, already 14 years of age, however, becomes the ruler, he wastes his entire kingdom in one single battle. This puts a strain on the people, on the army and most of all on him an his closest supporters and friends. Maybe the ones who thought him to be too vague, senselessly optimistic and somewhat childish were in fact right? Maybe. This is why, once banished from his former lands, he takes on a journey of adventures and noble acts, alongside his best friends and companions, to achieve the greatness needed to become once more the King of Palse, the undefeated great Kingdom. A curious fact from the Earthly reality is that a real nobleman who ruled as the King of Parthia between 245 and 238 BCE. In fact, he was serving as a Seleucid province governor in the Iranian lands. The first adaptation of the story was a 6-episode OVA from 1991-1995. This is the protagonist. A 14 y.o. prince who loses his kingdom and takes on a journey to improve and retake what he has lost. Yuusuke Kobayashi’s previous roles include Witchcraft Works’ Honoka Takayama and Nozo x Kimi’s Kimio Suga. Arslan’s best friend and trusty companion. He was once a high-ranking military officer, but was then demoted (or just reassigned) to the position of a guard for the Prince Arslan. He is incredibly loyal and a true samurai to his lord. Yoshimasa Hosoya’s previous roles include Prince of Tennis’ Kuranosuke Shiraishi and Katanagatari’s Shichika Yasuri. The former chief advisor of King Andragoras, but was dismissed from his duty when he spoke openly against the slavery practice of the king. He is a renowned tactician, swordsman, philosopher and likes to paint, although the last is more of a laughing topic among his friends. The closest friend he has in the group is Daryun. Daisuke Namikawa’s previous roles include Bakumatsu Kikansetsu Irohanihoheto’s Yojiro Akizuki and Fairy Tail’s Jellal Fernandes. A former slave, saved by Narsus. Now he acts like Narsus’s private spy or also a shinobi, wearing various disguises in order to gather intelligence and/or insight. Natsuki Hanae’s previous roles include Sword Art Online’s Kyouji Shinkawa and Tokyo Ghoul’s Ken Kaneki. She is the strongest female warrior amongst the female order serving the Goddess Misra. This is why she was sent to protect Prince Arslan when a prophecy was made that one of them must go. She is a mysterious character with an even more mysterious personality. Maaya Sakamoto is one of the most prominent seiyuu in this age. Her [similar] previous roles include Arakawa Under the Bridge’s Nino and Code Geass: Boukoku no Akito’s Leila Malkal. A jack of all trades and a playful character. He does not take sides, but only enjoys the show and the fun, wherever it is and with whomever he can have it. He is quoted as the most versatile fighter and also the most versatile musician, being able to play with almost any instrument and fight with almost any weapon. KENN’s previous roles include Samurai Flamenco’s Anji Kuroki and Kyoukai no Kanata’s Akihito Kanbara. The opening theme song is “Boku no Kotoba de wa Nai Kore wa Boku-tachi no Kotoba” (僕の言葉ではない これは僕達の言葉;These Aren’t My Words. These Are Our Words) by UVERworld. They have already performed for variety of shows: Bleach (OP1&2), Ao no Exorcist (Theme song+movie), D.Gray-man (fourth opening) an others. The ending theme song will be “Lapiz Lazuli”( ラピスラズリ) by Eir Aoi. Eir Aoi’s former anime-related songs include OP songs for Sword Art Online (the first and second) and Kill la Kill, as well as endings for Aldnoah.Zero, Fate/Zero and others. See the other different anime series you can watch starting in the Spring 2015 season! I am not sure this anime will be what I am looking for but what a brilliant preview. :)Thank you! I am very happy you like it, Akuma-chan! Cannot wait for the new FMA! Oh…please accept my apologies.